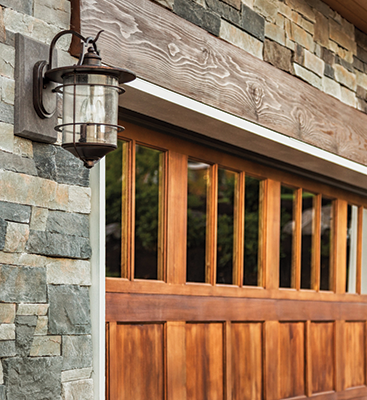 In general, your garage door is not a pain. You come home, you press the button on your dash or key ring, the door rises. You get up, press the button on the wall, drive your car out, press the button on the dash and it closes in your rearview mirror as you head to work. It lives a simple life and, hopefully, does not interrupt yours much, instead it merely functions. Until it doesn’t that is and then all of the convenience and simplistic harmony goes out the window. In its stead, is hassle, confusion and probably anger. But, don’t worry, Door Doctor is here to help you how we can. 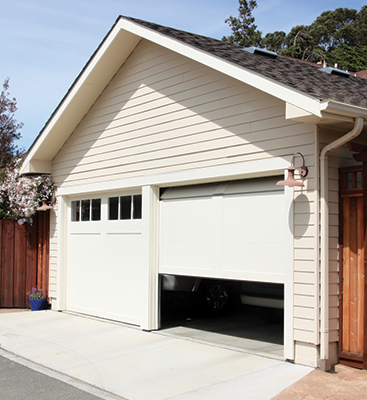 Fortunately, most repairs that your garage door could need are rather simply and major repairs are few and far between is you’ve been doing the proper maintenance needed to keeping the entire unit, the garage door and the garage door opener working well. If you pressed the button this afternoon and the light started flickering irritatingly on the ceiling, there might be something wrong with your garage door, or potentially, the garage door opener. Start by looking over the tracks. Get out the later, the flash light on your phone and maybe a toilet brush once you’ve pulled the door down manually by yourself and determined nothing is in the path of the “eyes” on each side of the door. Brush the tracks pretty good and then run some WD-40 on the rollers and axles. Keep in mind that the bearings on rollers can wear out and make the rollers themselve obsolete when there are no visible cracks or anything else in the rollers. Sleeping in the same house as a garage door that seems determined to wake even the neighbors across the street makes for grumpy roommates. You’re in luck though, because most noisy garages are easy to fix just by replacing a few parts or investing in a new garage door opener. If you’re not catching any more shut eye after your roommate or loved one takes off for their daily tasks that morning, it might be easier to just get a newer, quieter garage door opener. If you’re interested in fixing your garage door for this problem, reach out to us. We’d be happy to help you pick out and install a new garage door opener that won’t wake the whole block when you use it. We’ll level with you. 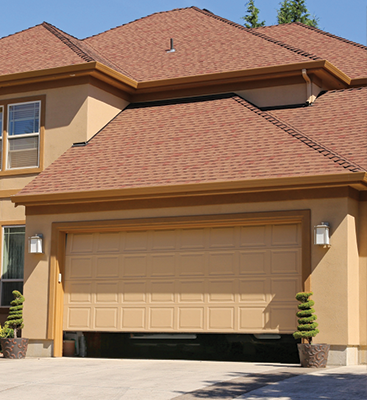 Even though garage doors are huge and heavy, they’re not really great for security. If you bother to look up a YouTube tutorial that will walk you through breaking into your “own” garage, just in case you leave your keys or something in there, you’ll realize that just anyone can do that. Garage are really easy to break into and yet, folks don’t often bother locking their garage door, or their cars if they store them within, let alone stopping to think about your hundreds of dollars worth of tools and lawn furniture tucked away within. That being said, garage security can be improved with a few new parts and a better garage door opener all around. There’s garage door openers now that you can include in your Smart Home setup and you can open and close it from your Smartphone —Even miles away from your house. For example, you’ll get notifications if your garage door is open for longer than usual, opens up, or doesn’t close properly so that you can handle that rather than leaving your entire home vulnerable to the pursuits of someone unsavory. If you’re finding that your little handheld remote isn’t opening your garage door, it’s time to look at both the remote and the garage door opener itself. People spend quite a bit of money on the less-than-functional aspects of their garage like the looks of it and covering the flooring with epoxy painting and other strange cosmetic details, but few folks actually go about improving the functionality of this area of the house. That’s why garage door openers break down so much. Folks buy the $150 one for m Sears close out sales and think that it’s going to last as long as the life of their house will. Unfortunately, that’s usually not the case. 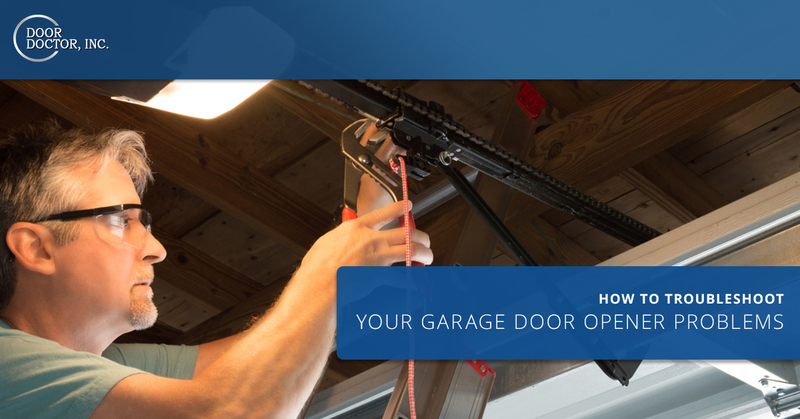 You can try to diagnose your garage door opener issues, or you can just call the professionals in. If you bought a model that can’t be repaired on, we’ll be glad to help steer you toward a better model that will have more longevity because you’ll have the option of repairing the components rather than having to replace the whole unit. If you’re ready to eliminate the possibility of inconveniences involved with your garage door opener, reach out to us. We’re totally equipped to tell you what parts your model needs, how you can replace those items, and if you should just opt for a replacement garage door opener instead. We can help you choose what model suits you best based on safety features, access point features (like wifi capability and number of remotes) as well price points. Please feel free to reach out to us with all of your questions today.